ZAGG, a leading mobile device accessories company has announced the availability of the Boost NearField Audio speaker, which comes under the iFrogz brand. 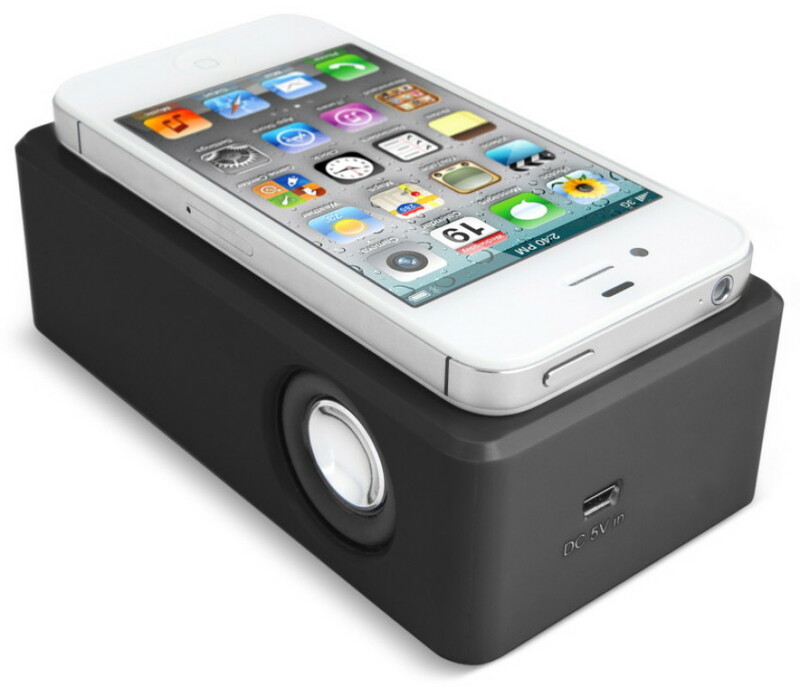 The new device is a small and portable audio amplification unit and is compatible with any external speaker device including mobile phones and MP3 players. The new iFrogz Boost speaker gives users the opportunity to amplify the device’s sound by placing their smartphone or other device that has an external speaker directly on top of the Boost. The speaker, which features new patent-pending audio technology, then syncs the external audio signal and then amplifies it through two high-quality 2 W x 2 RMS speakers without need for any Bluetooth, wire or other connecting technology. Size-wise the Boost is rather small – it fits without problems in a palm and measures little over 1 inch high, less than 3 inches wide and less than 5 inches long. Total weight without batteries is just 5.9 ounces. The Boost can give out up to 15 hours of playing time when running on three AA batteries or it can also be powered using a Micro USB cord that is sold separately. On battery power the unit can remain in sleep state for up to 6 months. The Boost costs 39.99 USD and can be found with other iFrogz branded product offerings at iFrogz.com.